A Syracuse native, Dr. William Dutch graduated from Fayetteville-Manlius High School, St. Lawrence University and in the top 5 percentile of his class from Ohio College of Podiatric Medicine in Cleveland, Ohio. Dr. Dutch performed his comprehensive residency in reconstructive foot and ankle pathology and surgery at Yale University School of Medicine, serving as chief resident for numerous affiliated hospitals and surgery centers in VA Connecticut Healthcare System. He completed his multidisciplinary fellowship in Diabetic Reconstructive and Revisional Surgery of the foot and ankle focusing on fore foot and rear foot reconstructive surgery with an emphasis on limb salvage procedures. After completing his residency, Dr. Dutch elected to return to his hometown Syracuse, NY. In 2004, he opened CNY Foot Surgery and Podiatry Care, PC, specializing in surgical and non-surgical treatments of all foot related conditions. Dr. Dutch, a board certified foot surgeon is also a member of the American College of Foot and Ankle Surgeons and the American Podiatric Medical Association. He has had several articles published in medical journals including the American Journal of Orthopedics, the Journal of Foot and Ankle Surgery and the International Journal of Angiology. He has lectured at numerous medical conferences in his areas of expertise. Dr. Dutch, his wife Janie and two children live in Manlius. He is an active member of the community, enjoys golf, skiing and spending time with his family. Dr. McNerney is a graduate from Utica College of Syracuse University and Temple University School of Podiatric Medicine. She trained in a 36-month accredited surgical residency at United Health Services Hospital in Johnson City, NY. Although she is trained in all aspects of podiatric medicine, Dr. McNerney has a passion for wound management and utilizes her extensive training in wound care, biologic dressings, offloading, surgical procedures involving skin flaps, osteotomies, amputations and reconstruction. Dr. McNerney is part of the Limb Salvage Team at St. Joseph’s Hospital and has consulted with the St. Joseph’s Wound Care Center. She has also undergone training for Hyperbaric Oxygen Treatment. She is currently a member of the American Podiatric Medical Association and the Association for the Advancement of Wound Care. 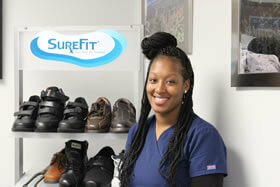 She is training for Certification in Wound Care and the American Board of Podiatric Medicine. 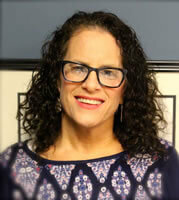 Dr. Melissa Cohen is from Long Island, NY. She graduated from SUNY Buffalo and received her Doctorate in Podiatric Medicine from the New York College of Podiatric Medicine. 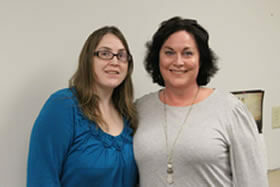 She also has her Master’s Degree in Social Work, specializing in Geriatric Medicine. She has been in practice for 33 years. 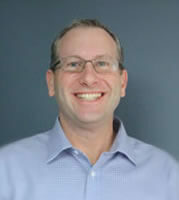 Dr. Cohen is board certified with the American Board of Podiatric Medicine. 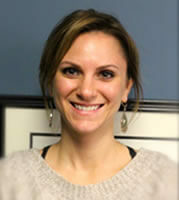 She loves her profession and has an unwavering passion for patient care. She lives with her daughter, Chloe, in Clay, NY. She enjoys volunteering with the homeless and the uninsured. She loves reading and spending time with her family. 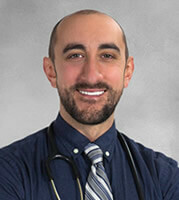 Dr. Nathan Ashby is a native of Naperville, IL. After receiving his Bachelor of Arts degree from Brigham Young University, Dr. Ashby went on to complete his education at the William M. Scholl College of Podiatric Medicine in Chicago, IL. He received residency training in podiatric medicine and surgery at Little Falls Hospital in Little Falls, NY. 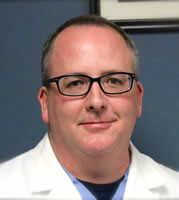 After completing his residency training, Dr. Ashby began practicing podiatric medicine in 2002. He is on staff at Upstate University Hospital – Community Campus, Samaritan Medical Center, Camillus Surgery Center, and provides podiatry services at the Oneida Indian National Health Center. Dr. Ashby prides himself on his genuine concern for his patients’ well-being and health. 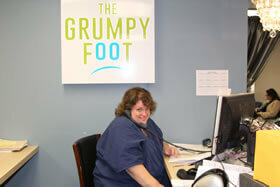 He and his staff want patients to feel comfortable in the office while offering each patient personalized care. Having provided podiatric care for over 15 years, Dr. Ashby is looking forward to continuing to provide the highest quality of comprehensive foot care to your entire family. Dr. Crable is a highly trained physician specializing in surgical and non-surgical treatments of all foot related conditions with a strong background in the management of wound care, diabetic foot infection, and limb salvage. He joins us with a Doctor of Podiatric Medicine (DPM) from New York College of Podiatric Medicine in New York, NY and as the former Chief Resident of Staten Island University Hospital with experience in over 500 surgical cases.